We already know how animals play an important role in preserving the mild balance of life on earth in their individual systems and ecologies. But apart from the natural help they offer, some of our furry and not-so-furry friends are actually beyond the call of duty to help humankind reverse some of the damage man has done to Earth. GreenPak, an organisation dedicated to providing recycling in Malta, take a look at some of these fantastic animals that (unknowingly) help us save the planet. We can think of seals and sea lions as nature’s very own marine surveyors. These intelligent sea mammals can effortlessly dive deep below the water’s surface to track climate change and can be trained to screen several conditions under the sea. They can go to places few people have gone before, with specialised outfitted equipment that monitors ocean salinity, temperature and water pressure, while sensors are attached to their fur and later taken off. 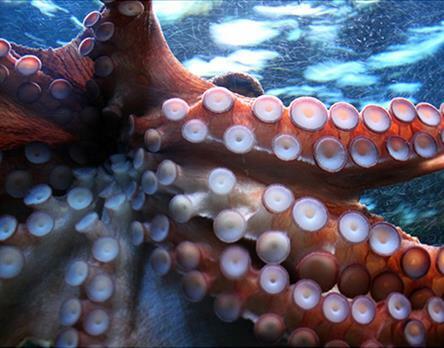 Renowned for its intelligence, the veined octopus is also incredibly resourceful, impressively building shelters from sea shells and coconut shells. Interestingly, octopi love hiding inside glass jars they find on the ocean’s floor, putting what would otherwise be rubbish to good use! While our feathered friends in more urban areas have been known to make use of rubbish like string in the building of their nests, male bowerbirds in Australia and New Guinea actually repurpose bottle caps and bright plastic containers to build elaborately planned, decked and curved walkways to attract female partners. Talk about repurposing with a hidden agenda! It’s so heart-warming to see different species do their part to help save the environment, so much so, they should inspire us to do our part! GreenPak is dedicated to creating awareness on sustainable living and provides efficient recycling collection, including glass and battery recycling Malta so desperately needs. Follow us on Facebook and Twitter for more information and updates!